There was also the same message. Francis urged those who he said were “attacked by the demon” to respond with “forgiveness, love and respect for your neighbour” rather than giving in to hatred and violence. “I want to share your sorrow, a deep sorrow when I think of many children, many families, whose lives have been broken in such a dramatic way,” he said at the Vatican. A man drove a lorry into crowds of revellers, killing 86 people on Bastille Day in Nice, in an attack claimed by the group calling itself Islamic State. Less than two weeks later, ISIL militants killed an elderly French priest, Father Jacques Hamel, in his church, prompting the Pope to declare that “the world is at war”. But he also insisted that the war was not a religious one, and that it was wrong to “identify Islam with violence”, suggesting instead that the lack of economic opportunities for young people in Europe was one of the causes of terrorism. 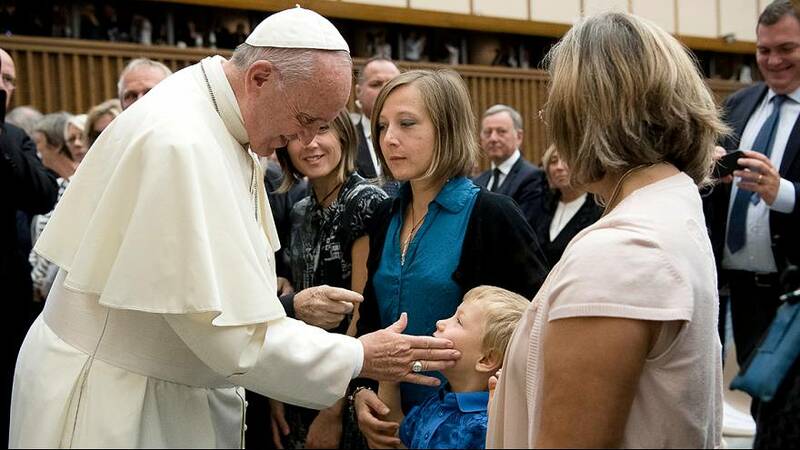 After speaking briefly, the Pope descended from the pulpit and spent more than 45 minutes meeting those who attended the ceremony, many of whom were in tears.